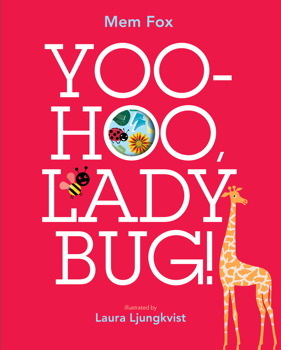 Read This Book With Me: Yoo-Hoo, Ladybug! A beautiful, fun book from one of my favourite children's authors! With bright, cheerful illustrations and rhyming text, this playful book is sure to engage young readers as they try to find the sneaky ladybug hiding on each page. Just like other Mem Fox books, such as Where is the Green Sheep and Tough Boris, I really appreciated the way that this book quickly builds a childs confidence in their ability to read on account of the repetitive text and excellent picture prompts. Plus, it's lots of fun to spot the ladybug! Interestingly, if you don't call these little critters ladybugs, there is a different versions of this text titled Yoo-Hoo, Ladybird!